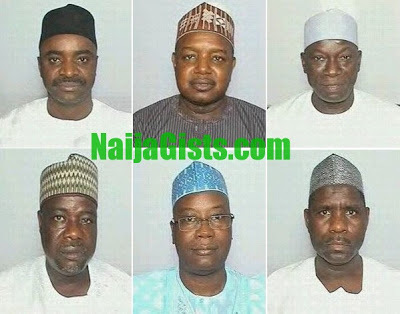 The names and the pictures of the 35 Nigerians senators who voted in favour of the controversial underage marriage bill last Tuesday has been revealed. According to Section 29(4) (b), ” any woman who is married shall be deemed to be of full age.” It means that even a child if married can be seen to be of full age and as such can renounce citizenship. The committee proposed that that provision be deleted. When it was put to vote, 2/3 of members present voted for it which meant it was deleted. 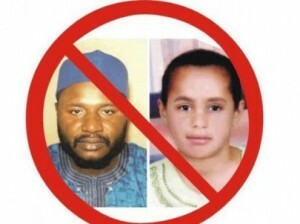 Senator Yerima who married a beautiful 13-year-old girl kicked against it. 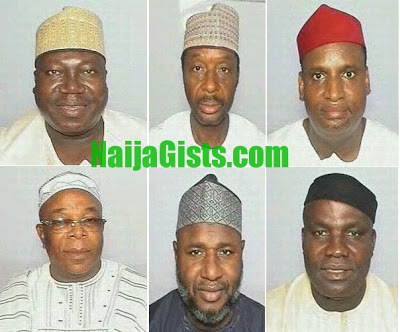 He mobilised his fellow Muslims Senators to threaten to cause confusion on the senate floor. After Yerima continued his objection, Senate President David Mark called for another vote. At this point the Senators who were in favour of this clause could no longer muster 2/3 of the votes that will retain Section 29, Clause 4 (b). Due to the sensitive nature of the bill, some senators didn’t bother to vote while some abstained completely. Yerima tried to thank Senator David Mark for granting his colleagues victory in the 2nd voting, he was shouted down and booed by those who opposed the bill. 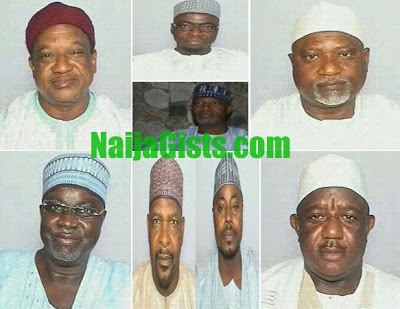 It’s very obvious Senator Yerima who married an underage girl few years back is the driving force behind this bill. He must be stopped. How can the selfishness of one man affect other innocent girls in Nigeria? It’s time for right-minded Nigerians to wake up #NO TO CHILD BRIDE. Here are few of their pictures. To say the least, at least we know those who are behind the wicked, ruthless and atrocity committing Boko Harams and when the time comes we shall lay hands on them!